In addition to its outstanding legal work, SRVH is distinguished by its collegial atmosphere. We take great care to hire attorneys and staff who combine a keen intellect with an ability to work with each other informally and with mutual respect and professionalism. SRVH is a collegial and respectful place where everyone is valued as a part of the team. We believe in a healthy balance of work, family and community involvement. The firm gathers on occasion for firm-sponsored athletic, cultural and social events, and the weekly Friday breakfasts provide for lively conversations about matters unrelated to the firm. Many of our attorneys began at larger regional or national firms then transitioned here because of opportunity for more autonomy and better balance, without sacrificing the sophistication of work. Our philosophy is to give associates as much responsibility as they can reasonably handle, while providing appropriate oversight from more experienced attorneys. From the beginning of their practice, new associates work closely with other attorneys throughout the firm, including with the firm’s most senior partners. For example, many large projects are staffed with a senior partner and an associate working together, in conjunction with our support staff. Under this structure, associates enjoy a great deal of responsibility and client contact early in their legal careers. New associates are not relegated to separate departments. Rather, an associate may expect to work in various practice areas and industries depending upon the wishes of the individual and the needs of the firm. Every effort is made to accommodate an associate’s request for work in a specific practice area or industry sector. As an associate’s career progresses, he or she can expect his or her practice to become more specialized as the associate develops certain areas of expertise. We believe that this process results in a more complete attorney, better equipped to identify and address the needs of our clients. Our philosophy is that every associate is hired with the expectation that he or she will make partner. We do not have a two-track partnership system. Rather than leveraging the associates of the firm, the partners of SRVH believe the long-term health of the firm is better served by hiring only those individuals whom the firm believes have the capability to make partner and then providing a work environment that will best enable such associates to make the professional progression to partner. We recognize that quality-of-life issues are increasingly affecting the career decisions of law students and new associates, and the firm desires that associates have time for a life outside of work. In addition, the firm encourages its attorneys to become involved in pro bono activities and other community service endeavors – including providing credit for bonus purposes. 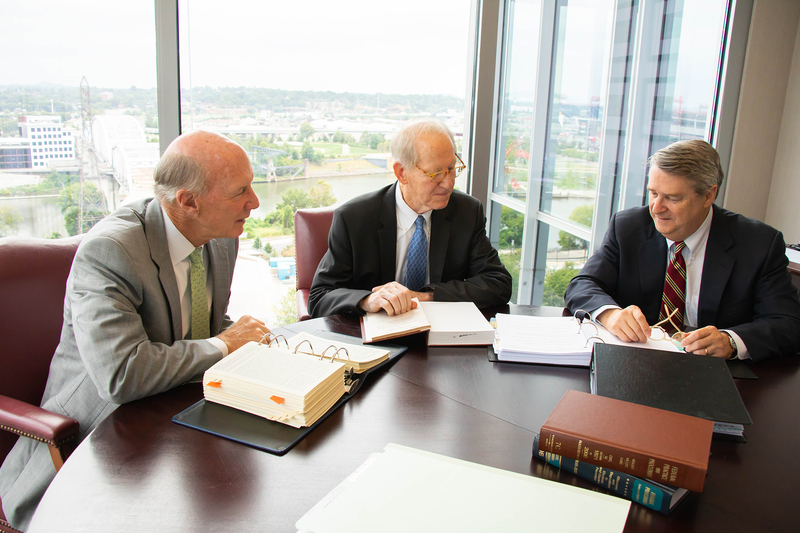 Numerous SRVH attorneys have been recognized by the Tennessee Supreme Court for pro bono work, and others have received the Tennessee Bar Association’s award for pro bono attorney of the year. Many others are members of and/or have led nonprofit boards or bar associations. SRVH has an excellent reputation of hiring and retaining outstanding support personnel. Our legal assistants, legal secretaries and administrative staff are a highly trained group of individuals providing our attorneys with a superior level of support. Ninety percent of our staff has more than 10 years’ experience in the legal profession. The firm employs two information system specialists to keep us current on technology trends within the marketplace. Continuous training of all personnel is a firm priority. The firm frequently reevaluates its hardware and software to ensure we remain on the edge of technological efficiency. Our recruitment is highly selective. Primary consideration is given to outstanding law school and undergraduate academic achievement. We generally expect applicants to be in the top 10% of their law school class and to have Law Review or similar experience. The firm is also seeking students who will mesh with and enhance the firm’s distinct culture and work well with clients, in addition to our lawyers and staff. While we typically participate in on-campus interviews at Vanderbilt and the University of Tennessee, we actively solicit the resumes of candidates from other top law schools. 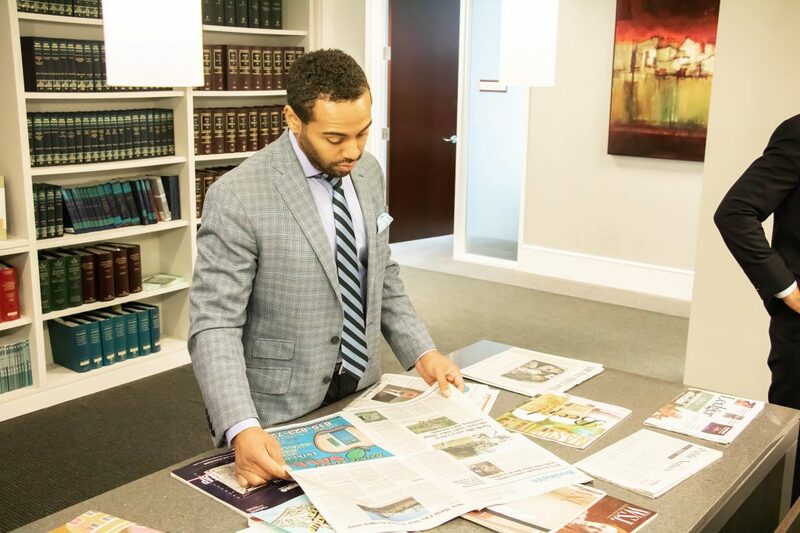 At present, the firm is comprised of graduates from law schools such as Vanderbilt, Tennessee, Virginia, Florida, Washington & Lee, Emory, UCLA, Stanford, Harvard, and Duke. SRVH believes that having a diverse team leads to a variety of wider range of viewpoints, backgrounds, and experiences that strengthen the firm and widen its perspective. We welcome and value individuals of diverse religions, races, ethnicities, gender, sexual orientations, ideologies, and viewpoints. We highly encourage minority candidates to explore the opportunities that SRVH has to offer. We believe our total compensation and benefits package for associates is competitive with any firm in Nashville. In addition to competitive base pay, associates are also eligible for merit-based bonuses based upon the following five factors: annual collections, professional development, contribution to the community, contribution to the firm, and firm profitability. Our bonus system does not limit potential bonuses to a fixed percentage of base pay and provides meaningful credit for time worked on pro bono and work in the community. Reimbursement for monthly expenses such as cell phones and related service charges. We hire people who work hard and we reward hard work, while also accommodating flexible schedules due to family and other needs. Because of the emphasis on firm culture, our recruiting classes are small and select. 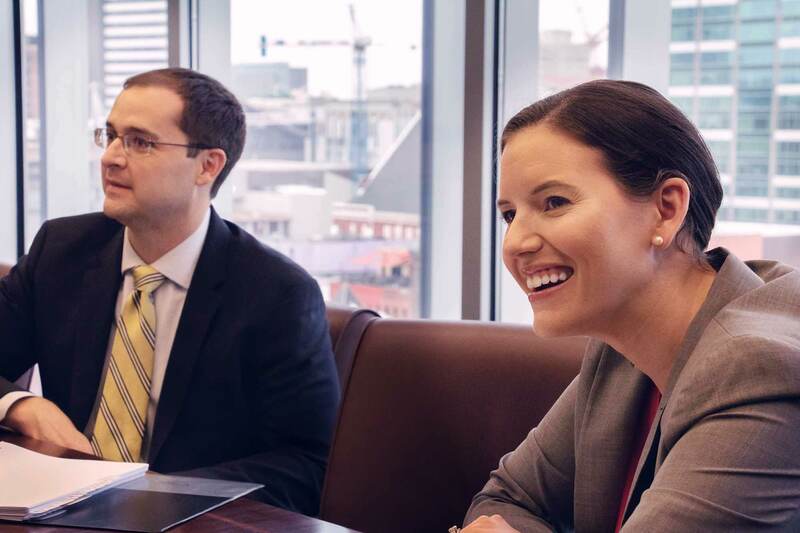 For example, a number of our summer associates have served as law clerks for federal district courts, federal appellate courts, and the U.S. Supreme Court. Our summer program is designed to provide an accurate picture of the firm and its atmosphere. 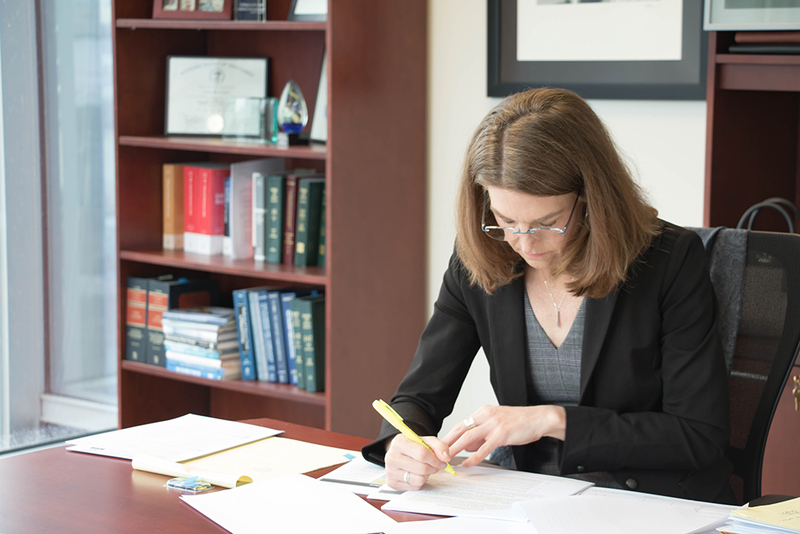 Summer associates work in a wide array of substantive disciplines and with most or all of our attorneys. Within this framework, the firm attempts to provide summer associates with work in their areas of interest. We do not designate an attorney or recruiting coordinator through whom work assignments are funneled. Rather, attorneys work directly with the summer associates to allocate the necessary projects. This arrangement allows summer associates to experience what it is like to be an associate at the firm. It is also important for summer associates to get to know our attorneys in settings outside the work environment. To achieve this goal, the firm arranges numerous social events, both formal and informal. Such events in past summers have included traveling to other cities for Major League Baseball games, a weekend retreat in Monteagle, dining on-stage at the Ryman Auditorium, attending sporting events and concerts at the Bridgestone Arena, rock climbing, and sharing dinners with attorneys at a variety of Nashville restaurants and in their homes. SRVH takes great pride in recruiting talented, highly motivated and well-rounded attorneys who are looking for a sophisticated legal practice in a collegial and professional environment. Lateral hiring has traditionally been an important aspect of the firm’s growth. Although we concentrate on hiring attorneys coming directly from law school or clerkships, we continue to look for high-quality lateral candidates who can fill a specific need of the firm. SRVH has no openings at the present time, however, we continue to look for high-quality candidates on an ongoing basis. Please submit your resume to Donna McFarlin at dmcfarlin@srvhlaw.com.